Depending on the purpose of your travel to Spain, there are different types of visas that will apply to the occasion. Whether you are planning to go on a visit, study or work and reside in Spain permanently, you will have to apply for a different Schengen Visa, accordingly. Stat: As per 2017, Spain has issued a total of 1,456,906 uniform Schengen visas from 1,624,276 visa applications received at Spanish consulates and embassies around the world. The Visa rejection rate was 8.27%. Download the application form, fill it completely and with sincerity. You can also fill the Spanish Visa application form electronically and then print a hard-copy. Learn how to fill-in the Spanish Visa application form! 2 photos must be attached; the photo should be of passport format – a recent whole-face capture with a light background. Learn more about photo requirements and specifications for a Spanish Visa. Your passport and copies of your previous visas – valid for at least 3 months beyond return date – are required. Your passport must have at least two blank pages. Hotel Booking Reservation for the whole duration of the intended stay in Spain. Find and Book Cheap Hotels in Spain! Means of subsistence – Proof of sufficient financial means for the period of stay in Spain. A foreigner who seeks to enter the territory of Spain needs to attest owning the overall amount for duration up to 10 days that is representative of a 90% of the gross national minimum wage (598.68€) that is 583.74€, while in case of exceeding 10 days the daily required amount is 64.86€. *Note: The signed application form must be accompanied the rest of the above-mentioned mandatory documents and handed personally at the appropriate embassy/consulate or its representative in your home country. Apart from the general documentation required, accompanying should be other additional documents depending on the purpose of your Spanish Visa application. Regarding the applicant’s expenses during stay in the Schengen zone, either the employer or the partner company must state coverage of expenses on the letter or invitation. *Note: When applying at the Spanish embassy/consulate in home country, the guardian or parent should accompany their under-age children. Can I extend my Spanish short-stay visa? Yes, you can extend your Spanish short-stay visa but only in exceptional cases where new facts and special reasons arise after entry in Spain. 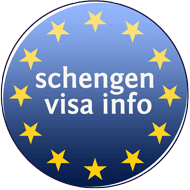 Please read How to Extend a Schengen Visa to understand in what circumstances and what are the conditions you must fulfill in order to be eligible to Extend your Spanish Schengen Visa. Attention! 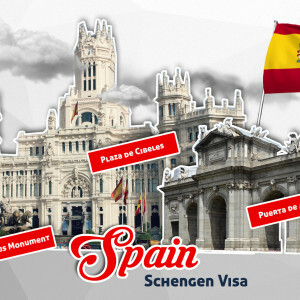 Please consult the Embassy of Spain in your country for the updated Spain Visa requirements!